Demerol High: Do you know what the Signs and Symptoms are? 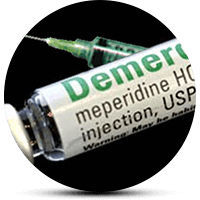 Demerol is an opioid painkiller. It’s most commonly prescribed to treat moderate to severe pain especially after surgeries. Because it is a highly abused drug, and you shouldn’t use it longer than two days. Despite many dangerous side effects, many people use Demerol for non-therapeutic purposes. Similarly to heroin, Demerol induces a state of euphoria and relaxation. Nonetheless, this drug can cause both physical and psychological dependence. The main ingredient is meperidine—a synthetic opioid painkiller that is highly addictive. When a person is using Demerol regularly, their neurons become used to the substance. This process takes place in the reward system in one’s brain. This mechanism is the cause why cravings, euphoria, and withdrawal symptoms occur. It takes a lot of time for the brain to recover from drug use, and in some cases, the changes in the brain can be permanent. Demerol high refers to the nice, happy feelings that you feel shortly after its intake. Your dosage depends on your prescription, as well as their audacity if taken for fun. Depending on one’s tolerance to the drug, as well as an individual’s height and weight, a dose can vary from 50 mg to 150 mg.
One of the drugs most important therapeutic effects is instant pain relief, which is also one of the reasons why recreational users opt for this substance—to achieve an immediate “high.” Because it affects the reward system in the brain, this medicine can also induce feelings of delight and glee. 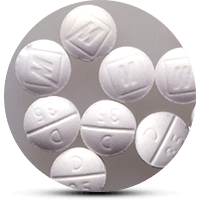 Furthermore, combining Demerol with other drugs or alcohol can intensify its effects. Thus, it can be life-threatening. Additionally, some users snort the substance and even inject it. They do it by directly injecting it into their bloodstream to feel its effects quickly. One of the most severe consequences of recreational use is an overdose. Due to extreme respiratory depression, overdose can be fatal. If you notice the symptoms mentioned above, immediately call 9-1-1. Some of the withdrawal symptoms can last for weeks. Due to a potentially life-threatening situation during this period, medical supervision is necessary. The first step toward Demerol addiction recovery is detoxification. It first starts in a hospital or other specialized clinics under medical supervision. Vital signs will constantly be monitored. Going “cold turkey” is strictly forbidden. To avoid potentially life-threatening withdrawal symptoms, the doctor will taper the dose. They will keep tapering the dose until the drug is completely out of one’s system. Sometimes, they can use medications to ease unpleasant withdrawal symptoms. In those cases, they will use naltrexone and methadone. Once a person finishes detox, they can sign into an inpatient rehab center. In the controlled and safe center, a Demerol user can get all the help they need to maintain sobriety. Addiction treatment is mostly based on counseling, individual, and group therapy. The main goal is to determine why addiction occurred and to help drug user learn new, functional ways of dealing with everyday issues. And last but not least, having encouraging, loving, and non-judgmental people around (like family members) can greatly play into a person’s recovery. Addiction Resource » Addictive Substances: The Anatomy of Drug Addiction » Demerol Addiction, What Are the Signs, Effects and Dangers of Abuse » Demerol High: Do you know what the Signs and Symptoms are?